Marc Leydecker, well known of his awesome US airports, needs an extraordinary break. Oops, what does this mean? No, he’s not going on a holiday. Instead, he’s trying to link real aviation hardware to X-Plane. 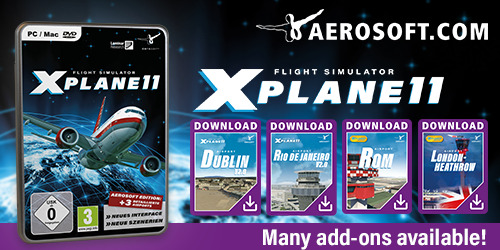 You can buy tons of dedicated hardware suitable to work with FSX, P3D and X-Plane, but isn’t it more fun when you do it yourself? 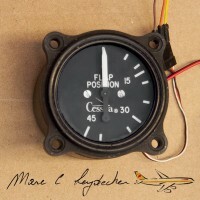 Today the first tutorial from Marc “how to connect a Cessna flap gauge to X-Plane“. According to Marc “Besides the coding, the principal is the same for X-Plane as for Microsoft Flight simulator.” Want to know all about it? Then you should have a look to this Acrobat tutorial. Many thanks Marc that you offer this to the community. By the way … it all started, but that will take much more time, a couple of weeks ago with Honeywell/Sperry SP-50 Autopilot spare part. These AP’s were popular on 727’s , DC9’s, MD11’s and the SP-50G was used in the Gulfstream. The SP-30, and SP-150 are similar models. Nice thing is … All parts came with airworthy certificates and they almost look brand new. Paid $24 for the FMS, $29 for NAV/COM radios, $49 for autopilot, $49 for HSI, etc. Perhaps later more tutorials about how to deal with this.